Address : 207 A , 2nd Floor, Anjaiah Complex, Hill Street, Near R.P. Road. Area Name : Hill Street. The front runner company in food processors has extended its business in India in 1985 and now enjoys the leadership position in this category which has expanded its range of products categories to more than 30 with over 200 SKUs. Inalsa has always been the first choice of Indian consumers for small home appliances and it is one of the fastest growing appliance companies. Inalsa has expanded its distribution network with more than 250 distributors and 10,000 retailers all across India with the collaboration of Taurus Group. The range of Inalsa products are made available at CSD Canteens, prominent stores, E-Commerce websites and teleshopping channels. TAURUS Group always believes to work in alliance with strong local brands and is present worldwide with a local approach for each country. It’s portfolio of brands include Taurus, Inalsa, Mallory, Mellerware, White & Brown, Winsor, Casals, Minimoka, Solac, Mycook, Coffee motion, Lucky, Practika and Alpatec. This allows Taurus to develop specific range of products for each country, from small home appliances & electronics to power tools. The customers can follow Inalsa on social media site to know the latest news about the company. I bought Inalsa Magic food processor in December and just after using it for 3-4 times, the fodd processor motor is not working. I am not able to reach out to any one from the service center. Even the quality of steel and plastic used in the food processor is of very low quality! I am really tired and frustrated with Inalsa and would not recommend any one to buy it. 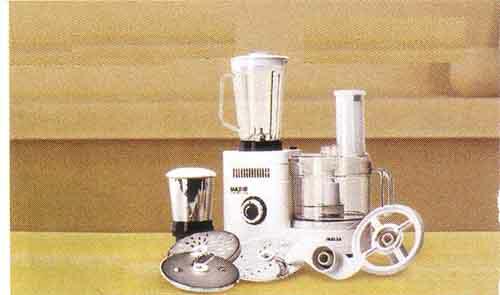 actually i bought a food processor of inalsa maxi dx at march 27;2012…..bt its nt wrkng properly…juicer n french fries blade….n coconut shreeding blade….i wanna 2 registr complaint at srvice centr….bt no one receive cal….so plzzzz help me….